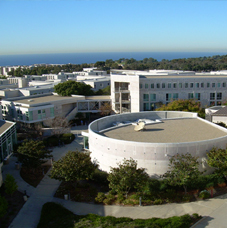 Facilities Management is responsible for the routine maintenance of UCSD buildings and grounds, managing the Campus Research Machine Shop, and gives design and construction expertise to campus building renovations. Our Customer Relations help desk processes customer-initiated work requests and dispatches qualified staff to handle building systems, facilities, and equipment needs. Facilities Management will begin transitioning all office trash containers to an unlined Bin Buddy, a miniature trash container that attaches to the inside or outside of a blue recycling bin. We hold monthly Brown Bag meetings so we can communicate with our customers. See a list of the presentations we share at these meetings. Find information related to campus construction projects.